At Sarada Homes we don’t pride ourselves on the number of houses we build every year, but rather by the quality of each individual project. From our draftsmen, engineers and building certifiers, to our contractors, we choose our people wisely to ensure they carry that same focus on delivering the best. 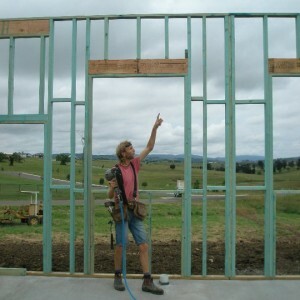 Most of our projects are custom designed homes to suit the individual’s needs. You can pick and choose from floor plans from our Range or provide your own sketches or inspirations; we welcome ideas from pictures in magazines or online of any details or finishes you might want to see in your home. We involve you as much as possible in the design process and are happy to incorporate changes during construction to ensure you are fully satisfied with every choice and detail of your home. From small country cottages, investment homes, owner occupier dreams, blocks of units, right through to waterfront mansions, or anything in between, we have done it before. Talk to us about our exceptional structural advantages, energy efficiency, and finishes, achieved through choices of materials and specifications, that come as standard with every home we build. Every project we undertake, small or large, is built to the same high standard. You can be assured your money is well invested and your property will retain its value for many years to come. With 5 years of building experience overseas, and working on the Gold Coast and the Gold Coast Hinterland since 2006, we have the experience and ability to create the best in the industry. See, and experience for yourself, why SARADA HOMES are sure FOUNDATIONS FOR YOUR FUTURE. At Sarada Homes we don’t pride ourselves on the number of homes we build every year; rather, by the quality of each individual project. Everyone from our draftsmen, engineers & building certifier to our contractors, we choose our people wisely to ensure they carry that same focus of delivering the best.